We are giving the maximum efforts to position and sell our clients' products in the regions covered by PHANTOM WEST. We also offer the best service and support to customers who purchase our clients' products. 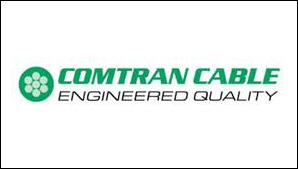 All Comtran Cable products are made with pride in America, and Comtran is a government and defense-approved manufacturer. Specific Comtran products have been approved for projects for Military/Shipboard, Nuclear Power,Oil & Gas, Cities and Towns, Public Institutions, and Mass Transit. The Signamax mission is to provide for your total end-to-end network connectivity needs - from the server to the user's workstation.